How are we seriously on week 5 already? This year seems to be just flying by! Most of my week seems to have been spent looking for houses and packing boxes. 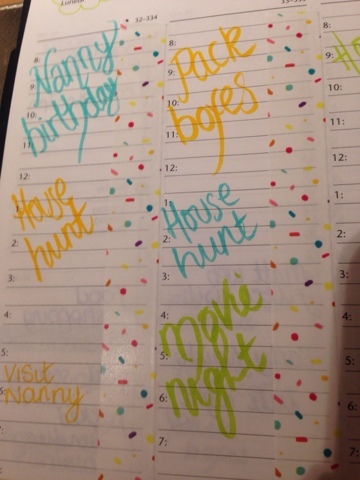 It's been hectic and we're so ready for our house, having most of my planner supplies packed up in boxes is starting to take it's toll! With that in mind, I've opted for a fun and funky week in my saffiano this week. Something bright and cheerful to make things a bit more cheerful! 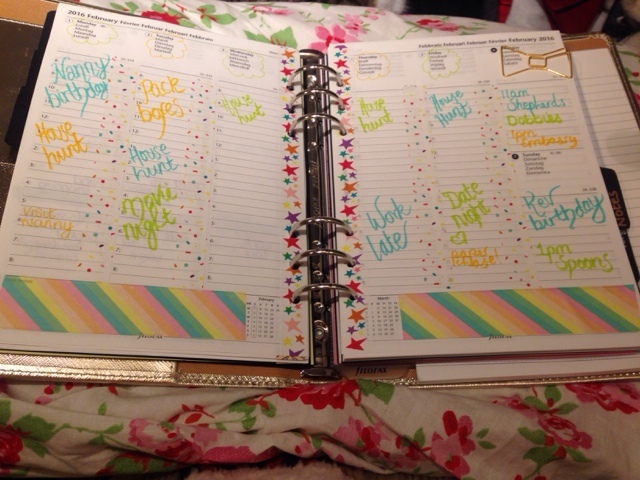 I used brush pens to plan the week, making the week less formal and more bright. My brush lettering certainly needs some work, but I just can't help but feel the good vibes looking at the page. 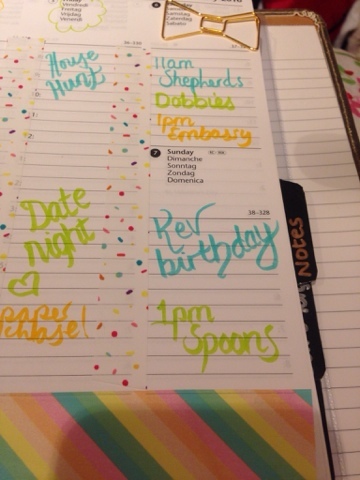 I just love that sprinkles tape too. All the tapes in my page are from Paperchase as part of a set. They might just be my favourite tapes yet! 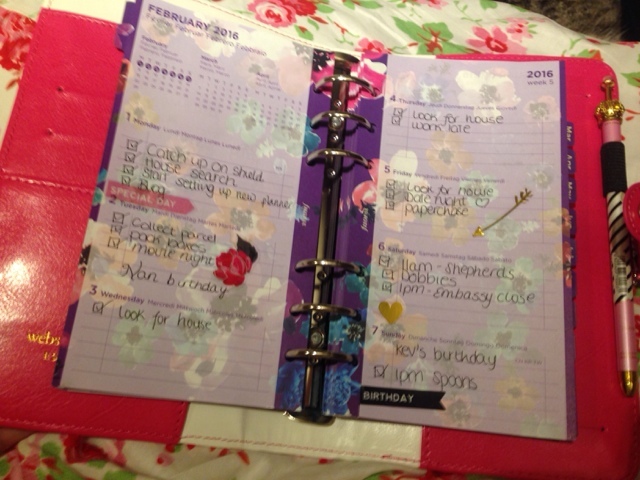 I've added some stickers to my color crush planner. The illustrated filofax pages are lovely, but a little dark. A couple of heidi swapp stickers soon sorted that out. I'm loving my new inserts,but still waiting for the rest of my color crush setup to arrive. Hopefully this week! Wherever you are and whatever you're doing have a great week!